Buying silver and other precious metals can have numerous benefits – but like any type of investment, you should always plan your purchases carefully. Whether you want to buy silver coins for physical possession, or place them into an IRA for greater protection of your retirement savings (or both), there are several important steps you should take to ensure your decisions are aligned with your financial goals. There are several reasons why more and more investors, of all ages and backgrounds, are making the decision to purchase silver. The potential growth, the long-term security, and the protection from stock market volatility and the declining dollar are all great examples of why this asset has become a “must-have” in today’s investment portfolios. 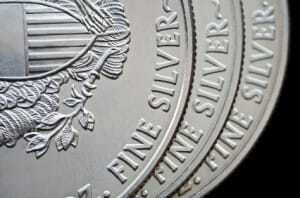 Use the tips below as a quick guide to learning more about buying silver. This is particularly important for those who are new to buying silver – but even the most experienced investor can make a costly mistake when they base their decisions on “gut feelings.” Why take any risks? A precious metal specialist can guide you to the best options for your situation and help you create a customized plan of action for achieving your investment goals. Determine which options are right for you. When investing in silver, you have a few different options to choose from, for example: IRAs backed by silver and gold, numismatic silver coins or silver coin bullion. Each option has its own unique features and potential benefits, which is why it’s best to work with a professional. A precious metals advisor can explain the strategy behind each option, so you can choose the route that makes most sense for you. 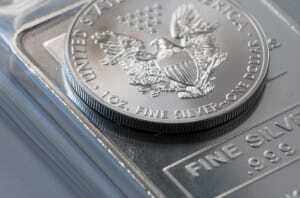 Verify the experience of the company or individual you decide to work with when purchasing any precious metal asset. How long have they been in the business? Are they rated by the Better Business Bureau? What experience do they have with investors like you? Don’t buy without asking questions. You should never be left in the dark about your purchasing decisions. If you have any questions, no matter how trivial they seem, don’t be afraid to ask – and make sure you get answers before you take the next step. Good precious metals advisors provide valuable advice and suggestions on ways to reach your financial objectives by buying silver. They should NOT be like pushy car salesmen! If at any point you feel you are being pressured into a decision you’re not sure about, stop everything to carefully evaluate your options on your own, or find a more trustworthy precious metals company. If you’re ready to take the next step to investing in silver or other precious metals, including gold, platinum or palladium, Birch Gold Group is here to help. Rated A+ by the Better Business Bureau, Birch Gold offers a variety of silver investment options, and our knowledgeable advisors will help you determine the best path for your needs. Our mission is to aid our clients in protecting their savings in the face of economic instability. We will answer all your questions and guide you in the right direction without any high-pressure sales tactics or confusion. For more information, fill out the form on this page, or call (800)355-2116 to speak to one of our advisors.